Let's get one thing clear: the difference between blush wines and rosés. Rosés are pink wines made (usually) from red grapes. Typically dry, the color comes from temporary contact with the red skins. The term "blush" was invented in the 1980's in California as a marketing device to distinguish between the low quality jug wines that were being sold as "rosés" and the product they were making. The star child of this marketing campaign? A little friend called White Zin, which is about as far away from a traditional, say, Provençal rosé as you can get. How did our little buddy come to be? Let's travel back in time and see. Technically what Bob was doing wasn't unheard of; he was employing what is called the saignée method. 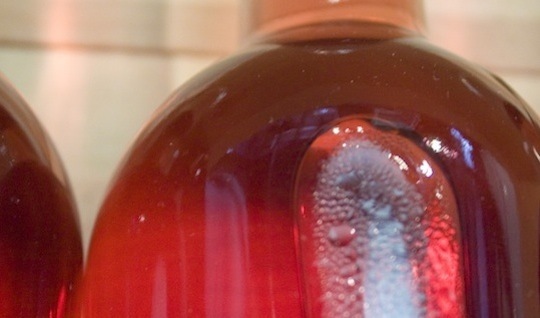 While rosés can be made in this manner, it is not what you will typically see. Usually rosés start as the juice from red grapes (normally the signature red of the region, ranging from Pinot Noir to Grenache to Shiraz) that remain in contact with the skins for a short amount of time. When the intensity of color desired is achieved, the skins are removed and the juice is left to age in stainless steel vats (some are aged in oak, depending on the winemaker's desired end product). Anyway, Bob's oddity was not well received. “Too dry,” the customers said. So Bob fixed that by inducing a stuck fermentation, which essentially means he added sugar to stop the fermentation, which resulted in a sweet, low-alcohol, pink wine. 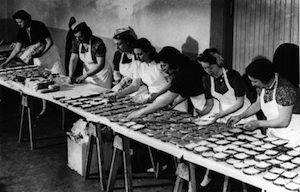 250 cases of the stuff were made and sold like hot cakes. Mr. Trinchero dubbed his creation “Oeil de Perdrix,” which translates to eye of the partridge. The name was derived from a rosé produced during the Middle Ages in Champagne whose color resembled that of the eye of a partridge whilst in death throes. Tasty. But the Federal Bureau of Alcohol, Tobacco and Firearms wasn’t impressed. They needed the name to be in English. Bob complied, and White Zinfandel it was. Demand soared. Cue the montage backed by an upbeat 80’s tune showing money piling up and people across the nation buying and consuming White Zinfandel. End with Bob Trinchero high-fiving his winemaker over a pile of cash. Freeze frame. Fast forward to present day USA. 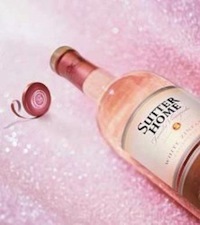 Sutter Home produces over four million cases of White Zinfandel each year. 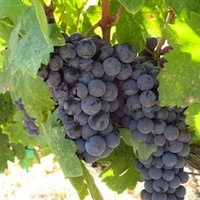 The fruity wine makes up around 10% of all wine consumed by Americans. The grapes are no longer primarily grown in Napa, but rather in the Central Valley of California where fruit quality is not as high and production costs are low, meaning that the price of a bottle is lower as well. In short you’ve got cheap, pink, sweet wine. What more could America want? Well, apparently some people got a little sick of the stuff during the 1980’s and/or college. While, like many other beverages associated with these eras (light, flavorless beer, wine coolers, cheap vodka mixed with Koolaid), White Zin has its place and its defenders, it also gained a reputation for being cheap, saccharine and unsophisticated. And so the fate of the reputation of rosé was sealed. The association of sweet, cheap stuff with pink wines is hard to shake. In fact, France values their rosés so highly that they are in the midst of fighting an EU plan to permit the blending of white and red grapes to make rosé as they believe it would produce a lower quality of wine. It is a serious affair. Gilles Masson, the director of France's rosé research center in Provence, was quoted in a Daily Mail article to have said, "It's as if the ferryboat was sinking and there was only one lifeboat – rosé. The new rules will allow everyone to jump in the boat and the result will be that everyone will drown." Drown! He went on to explain his fears, saying that if the EU gets its way "in time all rosé will taste like white wines, made from a handful of grapes like Chardonnay and Sauvignon [Blanc]." The jury is still out on the fate of European rosé. Back in America we seem to finally be catching on to the benefits and merits of a good, dry rosé. In a 2007 report by the Nielsen Company, it was found that between 2006 and 2007 the dry rosé selection within the market grew 27% while the sweet blush portion declined by 5.4% and 95% of those who responded to a market study reported a rise in rosé sales. Let go of the numbers and just walk into a wine store. You see half a wall of rosés come May, and while customers are still wary, always making sure to ask for a dry rosé, it's clear that we're embracing the pink fuzzy bear as it lumbers from its winter hiding. You sing a lovely rose' song. I've been singing the praises of rose' and its only when you pour someone a glass that you see the light bulb go off. We just cracked open our first of the season, and it isn't even sunny out. Grazie for a well done post. "The grapes are no longer primarily grown in Napa, but rather in the Central Valley of California where fruit quality is not as high..." and yet you recommend a central coast Rose, Vin Gris! I think we're all beyond the "Napa as King" mentality. Please catch up - your buying habits seem to have. If only everyone had entirely caught up with you, Cindy. But I can say from working in wine stores, bars, etc, there is still a mythical shine that follows Napa. And while there is a population of lower grade grapes in the Central Coast, which go on to be used in white zin and other mass produced jug wines due to the ease at which grapes grow there not to mention the lower rent on the property, that's not to say there aren't excellent wines being produced there as well. "Pink, you think, I can’t buy that. My friends will think less of me, think I’m a sissy." Why? Don't your friends approve of anyone whom they suspect of flouting artificially constructed sexist gender norms?